Grill asparagus in a grill basket over a medium heat charcoal fire, turning occasionally, until lightly charred. 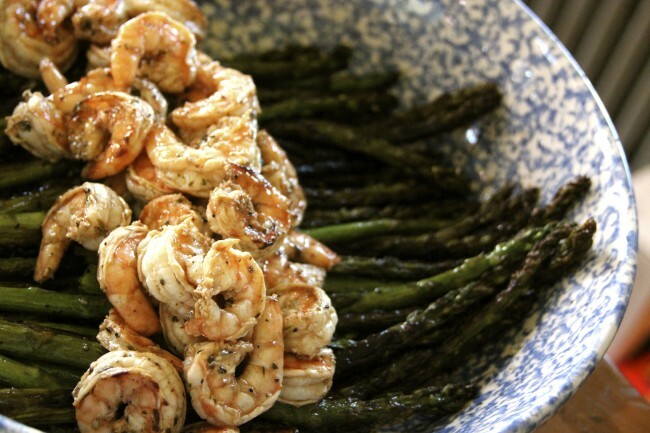 In the last 2 minutes of grilling, sprinkle the brown sugar over the asparagus and toss well but gently to coat. Put aside while the shrimp cooks. 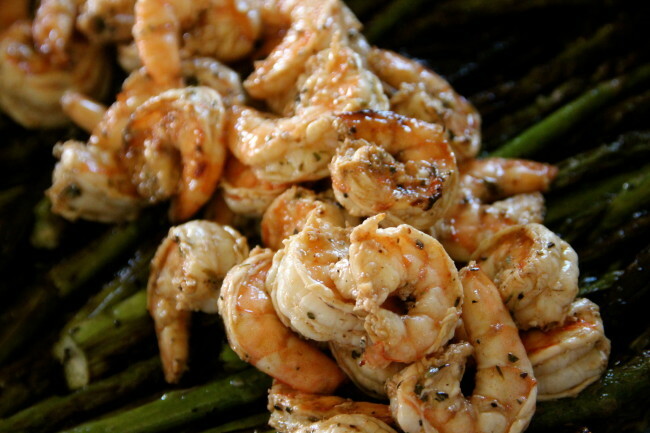 For the shrimp, toss with tablespoon of salt, one of pepper and one of Herbs De Province and 1/4 cup of oil. Cook over the same charcoal fire in a wire basket until slightly charred and opaque, turning the shrimp with thongs individually. 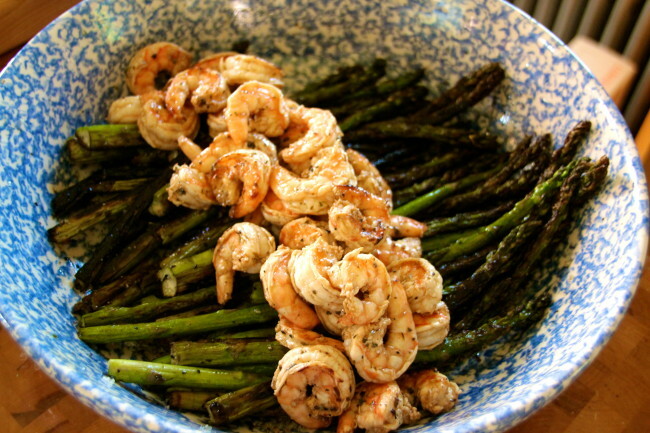 Place the cooked shrimp on the asparagus and sprinkle with the juice of one lemon. Serve to applause! !